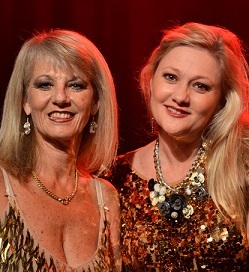 A Song For You: A Carpenters Revival – featuring Belinda Dolphin and Karen Campbell-Gillies – will be presented by Rhumbelow Theatre in Pietermaritzburg at the Allan Wilson Shellhole on February 7. The show offers a toe-tapping, heart-warming evening of favourites by the extremely talented Carpenters duo, whose music career spanned from 1969 through to Karen Carpenter's tragic death in 1983. Their music forever changed the face of recorded music by featuring complex and skilful use of melody and harmony, carried by heart rending and poignant lyrics. Dolphin and Campbell-Gillies are very familiar to Durban audiences: Belinda is renowned for her beautiful singing voice, and appearances at numerous venues around Durban while Karen has appeared in many adult pantomimes, one-woman shows and various cabarets staged at the Rhumbelow, as well as at the Hilton Arts Festival, with Anthony Stonier. Songs featured in the show will include Classic Carpenters’ numbers like Top of the World, Close to You, Mr Postman, A Song for You, Rainy Days and Mondays, Sing and many more. A Song For You: A Carpenters Revival will have one performance at 16h00 on February 7. Tickets R140 pp ((R120 pensioners/tables of 8 or more). The venue opens 90 minutes before show. Bring food picnic baskets and a bar is available (no alcohol may be brought on to the premises). There is limited secure parking available.